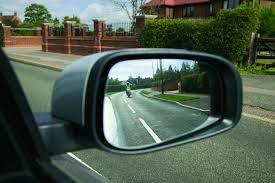 Mirror, Signal, Manoeuvre is a routine you use every time you start off in a vehicle. For those learning to drive it is taught as a mantra so that it becomes an automatic process. So what has that to do with music education? In my experience, when a student starts learning a new piece or is doing a sight reading test, the first thing they do is to work out the pitch of the first note. If it were a sight reading test, they may well finish the test and then I would take the music away and ask, "What was the key signature?" to which, they often wouldn't have a clue how to answer because they never looked in their mirrors, to use the driving analogy and moved straight out into the traffic without checking what was coming. Boom - a musical accident waiting to happen. So what should be the musical mantra before we start off into moving musical traffic. I would suggest the main thing before even looking at the notes is key signature. It is the first piece of information given on the stave after the clef signifying to me that it's important. Secondly, take note of the tempo, style, and performance directions. In an ABRSM sight reading test a distinction is only given for sight reading when the candidate incorporates these performance directions. You should always try to sight read musically, not just mechanically. Then move off carefully into the musical traffic. Let's try an experiment. Look at the following extract for 10 seconds and then answer the questions that follow to see how much information you took in. What was the key signature of this extract? What was the tempo marking? What dynamics do you remember?